New Mum Online: Routes To Reading - Bristol Free Day Out for 3 Years Olds and Under. Routes To Reading - Bristol Free Day Out for 3 Years Olds and Under. We're going to meet friends in Bristol City Centre this weekend. Reading's always been extremely important to Aaron and I. We have a large collection of books. I laughed at his open evening for his big school in September - he starts this year in reception. They said, over the Summer, to get them reading for school, try and read to your child for 5-10 minutes a day. Me and the lady next to me looked at each other horrified. I read to Aaron for anything between 60 and 90 minutes a day. I know children not being read to is a big issue as London's Evening Standard has been campaigning about it for years, and it is not a class issue. I know lots of middle class parents who by the time they collect kids from childcare after work, all they have time for is dinner, bath and bed, and that often times does not include a story, or a very brief one. If reading's important to you, and you're in Bristol this weekend, come along. I found with Aaron that they're never too young to be read to. What they don't understand one week or month, they do the next. Raising the bar, each time to the next level of vocabulary or picture recognition leads to progress in leaps and bounds. This is a free launch event for Bristol company: Education Umbrella. Their new Reading Scheme is "Routes to Reading". Little Readers’ Day Out is a free event aimed at helping parents to get the most out of reading books with their babies and toddlers. 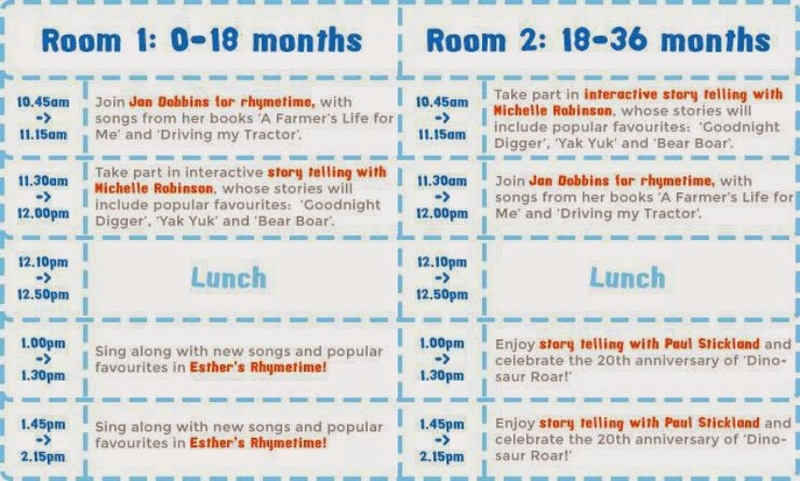 On Saturday 28th June in the At-Bristol science museum, parents will have the opportunity to take part in storytelling and rhyme time sessions with their little ones, and to speak to our reading experts about their child’s reading journey. There’s something for everyone; from parents who are yet to start reading to their baby to those who already read regularly. This is also an opportunity to join the baby book club and receive the best new books for babies and toddlers. As well as story telling sessions and rhyme time there will be crafts and colouring, face painting, competitions and give-aways, guest appearances by well known book characters and a picture opportunity with Steam Dog Gromit. It promises to be a fabulous free event and great day out for any family with pre school children. Routes to Reading was conceived when a group of seven Bristol-based families met at their first National Childcare Trust (NCT) class. A year later one of the parents, Ruth Wadsworth, joined Education Umbrella. She set out to capture the reading trials and triumphs of her NCT group and turn them into something helpful for fellow parents. At the same time, Education Umbrella’s child literacy expert, Sandee Sond, was seeking a platform from which to showcase the best in children’s literature. When they put their goals together Routes to Reading was born. Combining the power of reading with the pleasure of the right book, the new team devised a unique yet simple initiative: every month an expert panel would select two books for each of the seven families, in exchange for which the parents would submit videos of reading time with their child. This exciting project is now ready to share these reading experiences with the world and help more parents create their own reading journeys. The book club will officially launch at the end of June complete with a website packed full of reading tips and videos for parents to browse as well as an opportunity to upload their own. • A chance to join the baby book club.